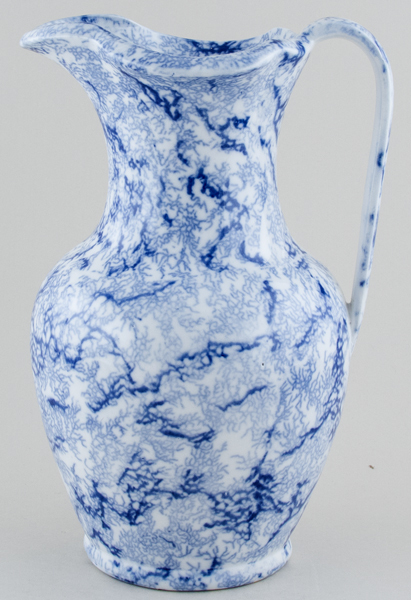 Wonderful large ewer with long elegant neck and unusually has pattern underneath also! Backstamp: Impressed Dimmock monogram. There is a small vertical hairline to the handle and underneath some wear and pitting otherwise excellent condition.